Creating With Cindy: The new catalog is here! The new catalog is here! The new catalog is here! The new catalog is here! Guess what day it is? It's the most exciting day in the Stampin' Up! year. The brand new catalog is here! There are so many great new products! Have you seen the new In Colors? I love them all! I think today my favorite is Sweet Sugarplum. It changes almost everyday... 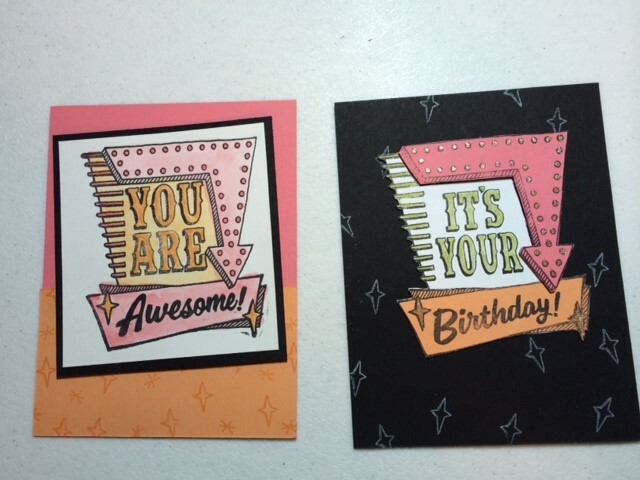 I've been busy getting ready for our card class and catalog premiere tomorrow night. 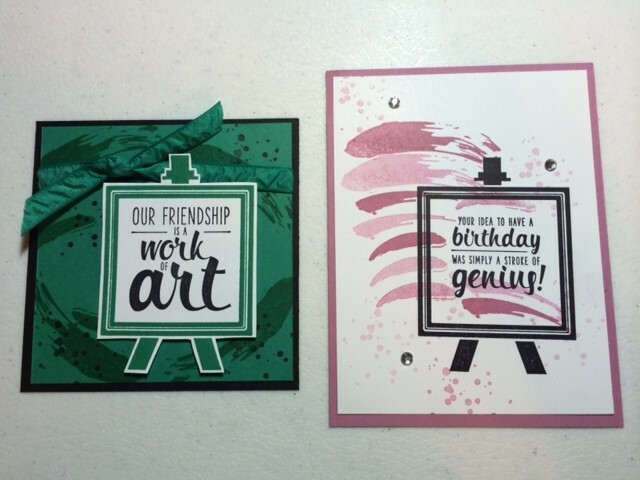 I won't share the cards we'll make until after class....but I'll share a few cards I've made with new products and colors. This is Painter's Palette. Both of these were quick easy cards. my favorite - Sweet Sugarplum. Wink of Stella for a little extra sparkle. Love that stuff! cut out a scalloped square in the middle of the card? I used the new Layering Squares framelits! That's all for tonight! Stay tuned for more new products!